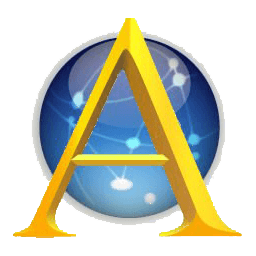 Ares is a free open source bittorent and chat program that enables users to share any digital file including images, audio, video, software, documents, etc. You may now easily publish your files through the Ares peer to peer network. As a member of the virtual community, you can search and download just about any file shared by other users. Latest versions also support internet radio stations. With Ares you can join chat rooms or host your channel and meet new friends. You may now easily publish your files through the Ares decentralized network. As a member of the virtual community, you can search and download just about any file shared by other users. Latest versions support BitTorrent protocol and Shoutcast radio stations. Ares automatically finds more sources and downloads files from many users at once. This can increase remarkably the speed of your downloads. Ares works behind firewalls and requires zero configuration. Your shared files are organized into categories in a library section. You can sort your files by type, category and easily change your share settings. An handy quick-search feature locates your files by typing a keyword. You can preview files while their download is in progress and organize a playlist made of your favourites. Ares' player supports internet radio. You can host your chat room and join other available channels. Creating a chat channel has never been easier, now you can chat and meet new friends while you download files. Ares is a free software. Its source code is available for free. Anyone who wants it can download Ares' source, add their own features and come up with their own version.